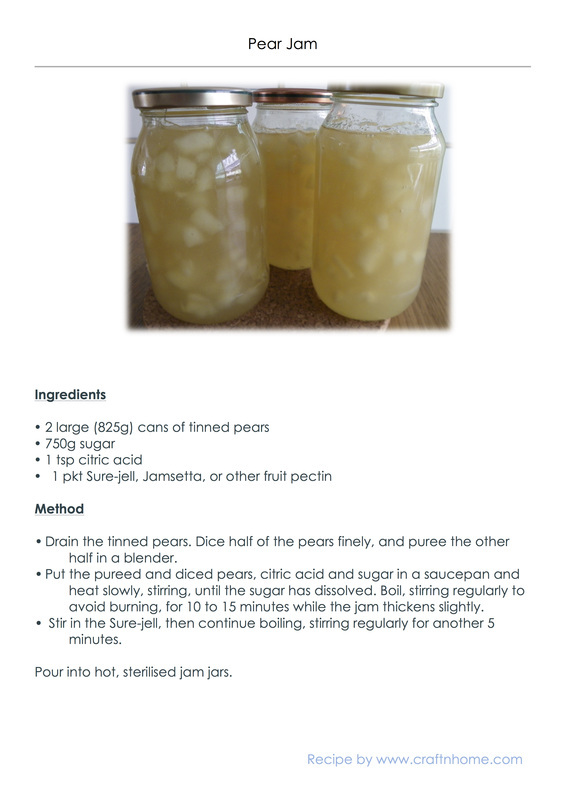 ​When fresh fruit is out of season, you can still make jam using tinned fruit. Drain the tinned pears. 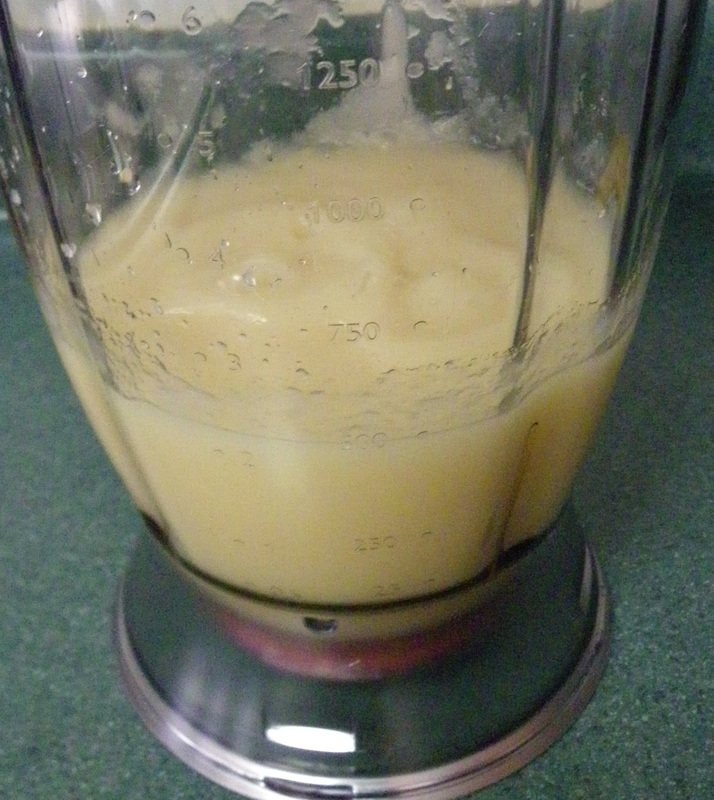 Dice half of the pears finely, and puree the other half in a blender. 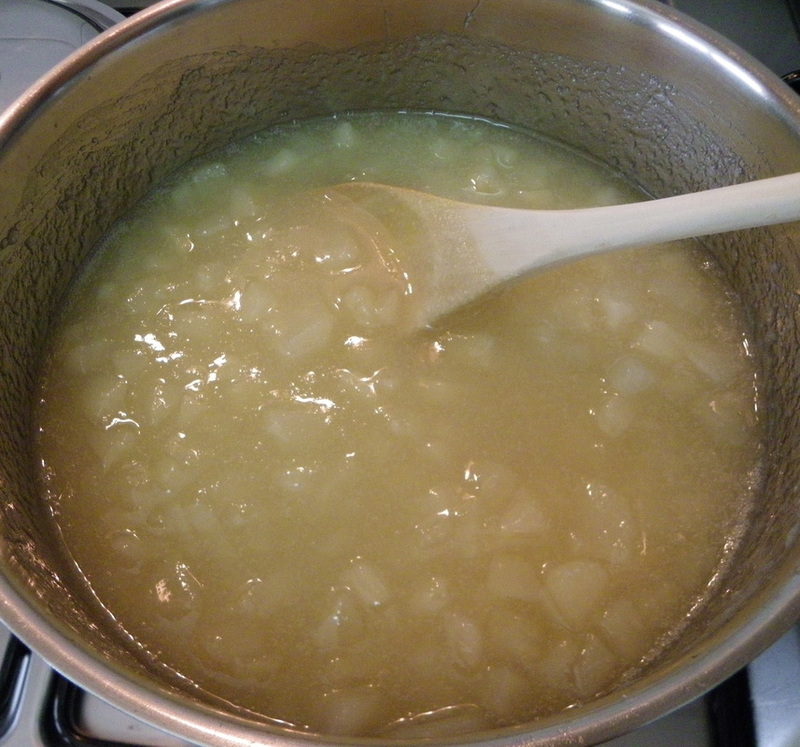 Put the pureed and diced pears, citric acid and sugar in a saucepan and heat slowly, stirring, until the sugar has dissolved. 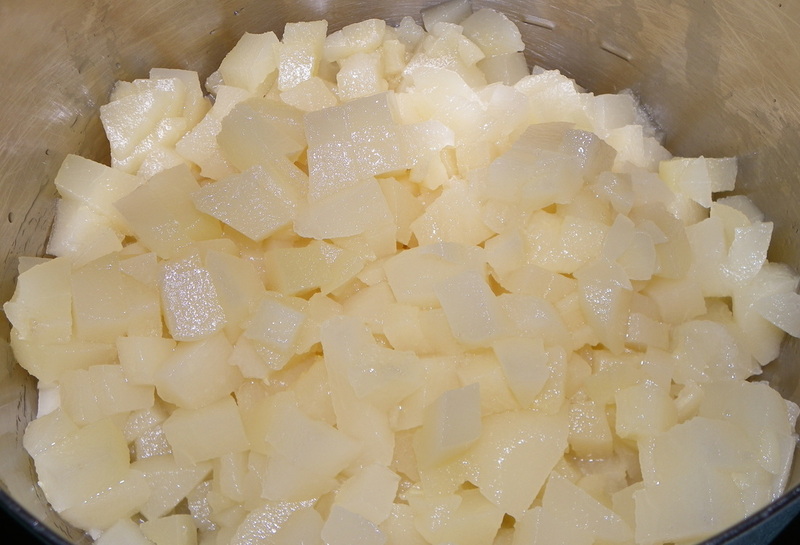 Boil, stirring regularly to avoid burning, for 10 to 15 minutes while the jam thickens slightly. Stir in the Sure-jell, then continue boiling, stirring regularly for another 5 minutes. 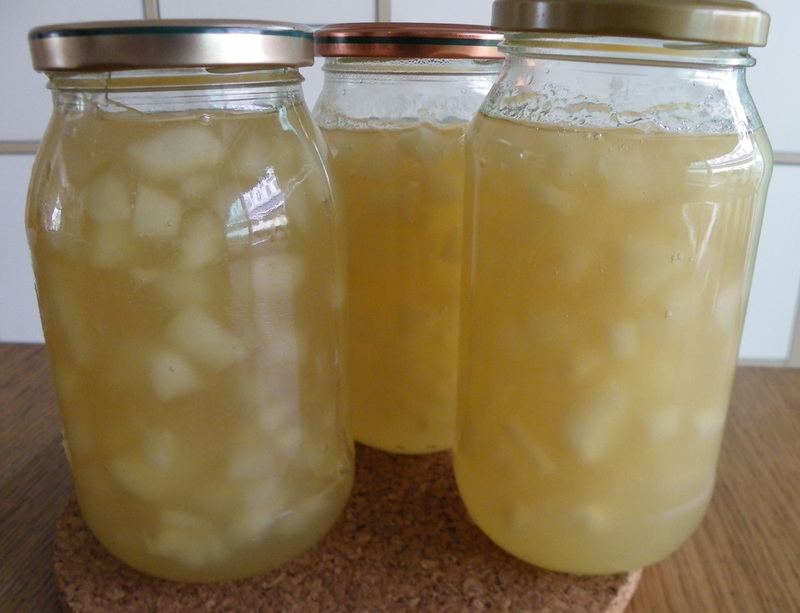 Pour into hot, sterilised jam jars. To Print this Recipe open the pdf doc or jpg image below and select print.